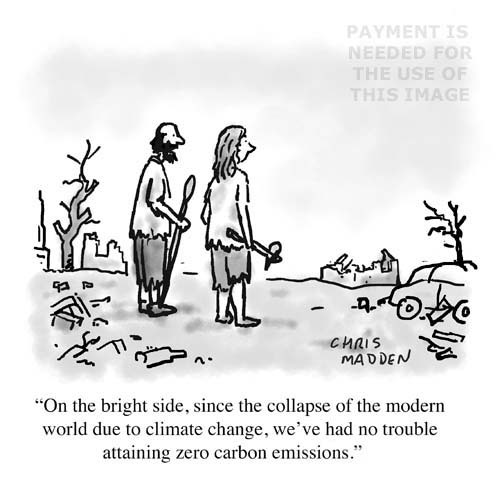 A climate change cartoon about the need to reach low carbon emissions targets. The cartoon shows the fact that if we don’t take measures to reduce our carbon emissions we will reach a state in which the emissions will drop anyway. A cartoon about climate change, zero carbon emissions, carbon footprints, global warming.